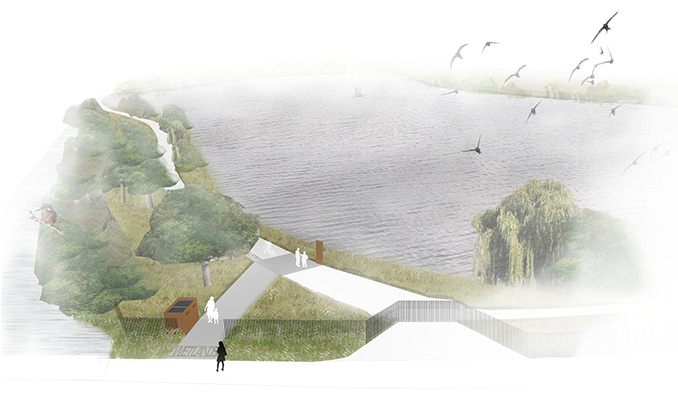 This ambitious project will open up the 200 hectare Walthamstow Reservoir site to the public, allowing it to become a vital destination for people as well as wildlife. 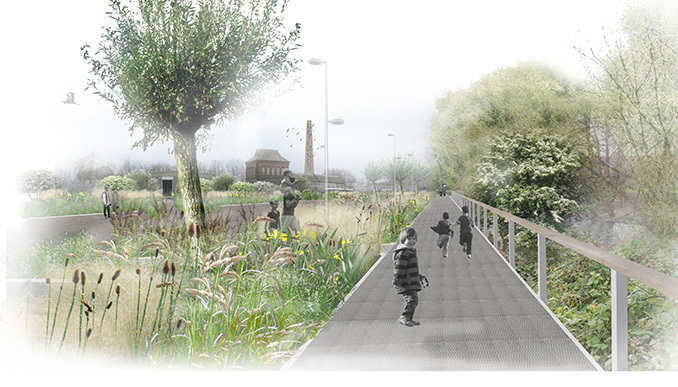 The site has cultural, industrial and natural heritage value and will become an oasis of ecological biodiversity between the densely populated areas of Tottenham and Walthamstow. The nature conservation value, operational functionality and distinctive landscape character of Walthamstow Reservoirs is unique in London.The conservation of this hidden heritage is driven by a client team comprising Thames Water, London Borough of Waltham Forest, The Environment Agency, Greater London Authority, Natural England and the proposed operator London Wildlife Trust. 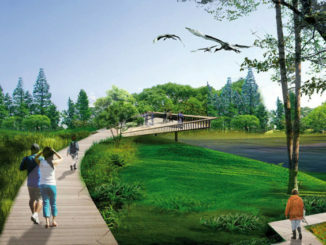 The concept is to create a ‘green core’ of naturalised landscape at the heart of the reservoir complex. 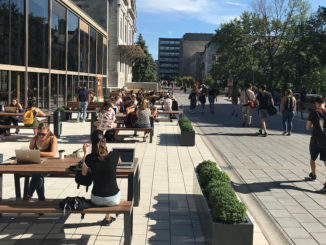 New entrances connect into existing communities, many of which are deficient in access to green and open spaces. 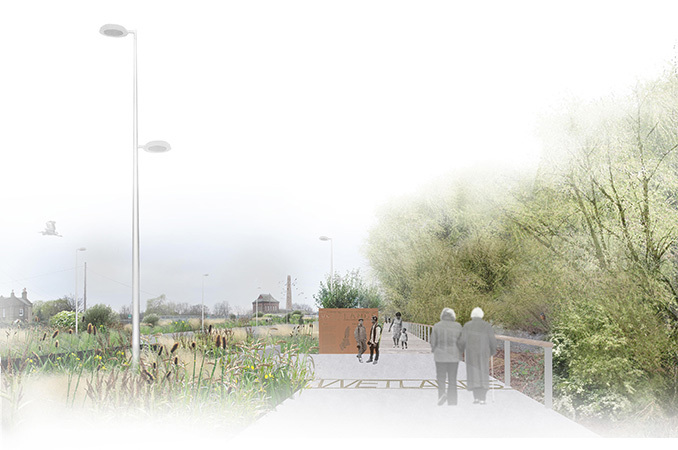 A clear generous pathway runs through the centre of the site linking these entrances and connecting to the strategic pedestrian and cycle route which runs through the middle of the Lea Valley. 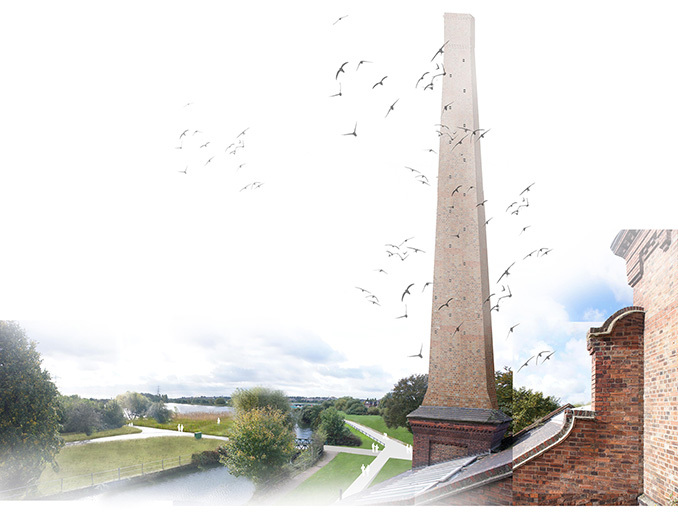 A new visitor centre in the refurbished Marine Engine House pumping station is located at the centre of the network of path and walks. 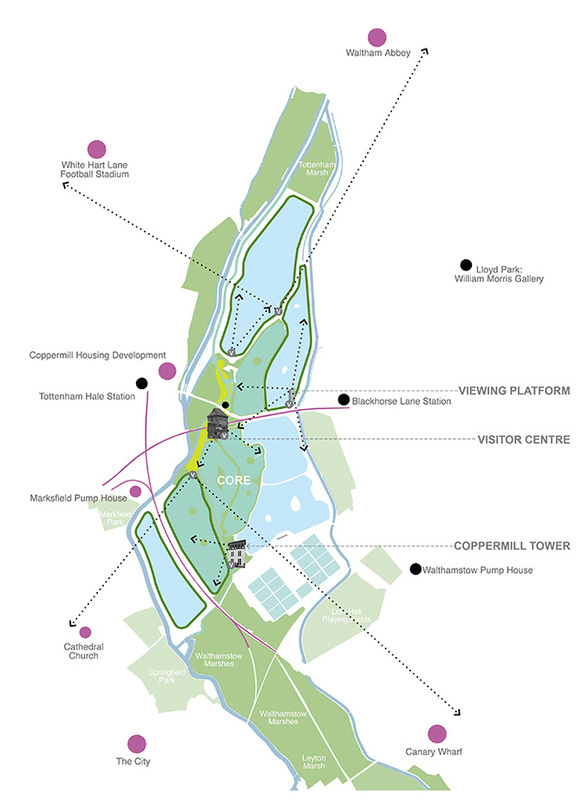 The existing site’s habitats will be enhanced and extended to further enrich and diversify, increasing habitat for protected species and attracting a wide variety of new species to the site. 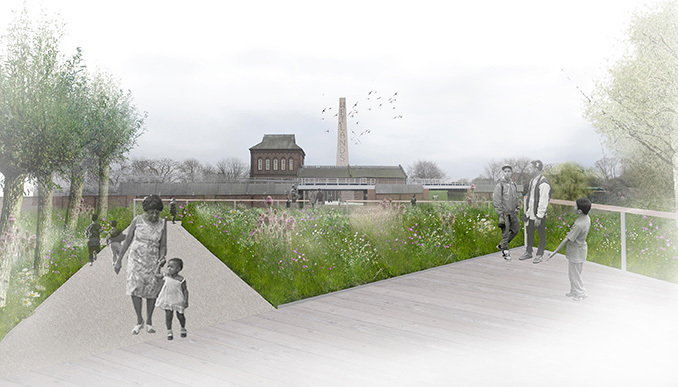 High level views of this enriched landscape will be provided at the Victorian Marine Engine House and early 19th Century Coppermill viewing platform, allowing visitors to understand their place in this distinctive city landscape. 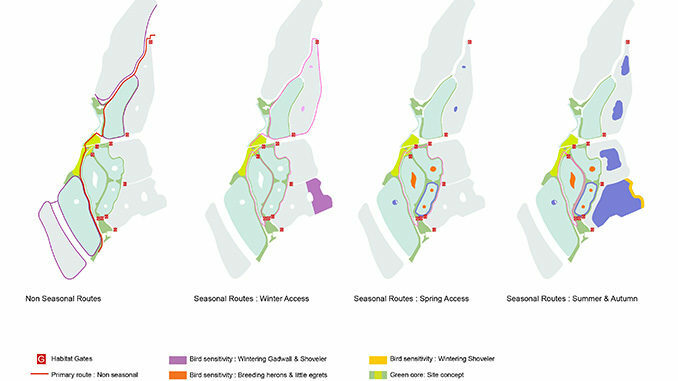 Though the marshland has gone the birds have remained, establishing a distinct and dynamic ecological heritage on site. The development of the raised and ground level reservoirs as well as the management of the site as a fishing resource has created a variety of habitats attracting a diverse number of bird species throughout the seasons. The site’s designation as a SSSI, SPA & RAMSAR reflects the site’s ecological importance at an international and local level. However, though the reservoirs are visited regularly by a number of local bird watchers, the majority of local people do not know the site’s ecological importance. Our approach is to enhance and protect the existing habitats, allowing them to be used as a natural resource to educate visitors. Our long-term view is to expand and diversify the habitats on site, to emphasize the dynamic nature of the wetlands and bring this rich ecological heritage to the surface. The interface between the engineered landscape and the natural landscape is a relationship that is key in all site features. It is this interface which has created the site’s distinctive aesthetic embodied by the contrast between the prominent raised engineered banks of the statutory reservoirs and the naturalised, overgrown banks of the non statutory reservoirs at the heart of the site. 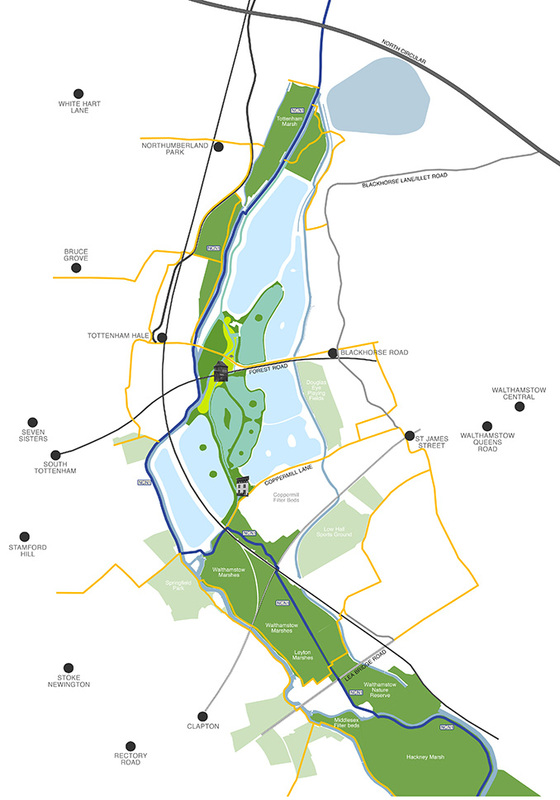 This project delivers a number of key strategic objectives : access to nature, access to open space, opening up a new pedestrian and leisure cycle route, and creating a new cultural and ecological destination within the Lea Valley.